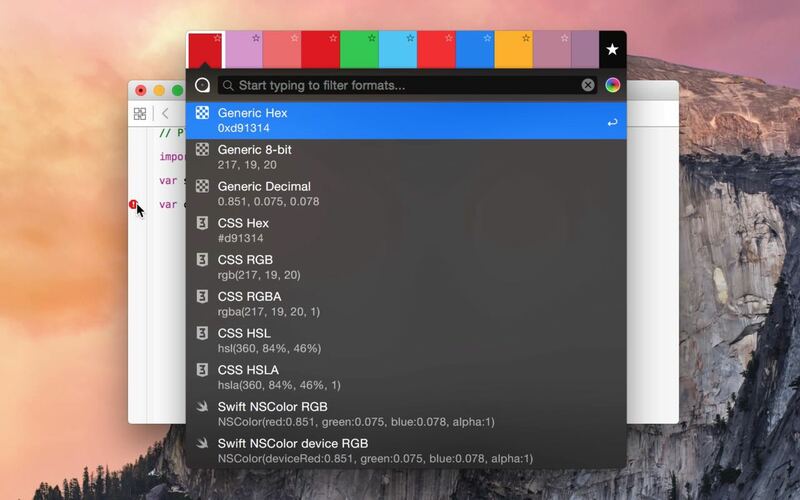 The macOS color picker app for designers & developers which makes it easy to collect, adjust, organize and export colors of any pixel on the screen. 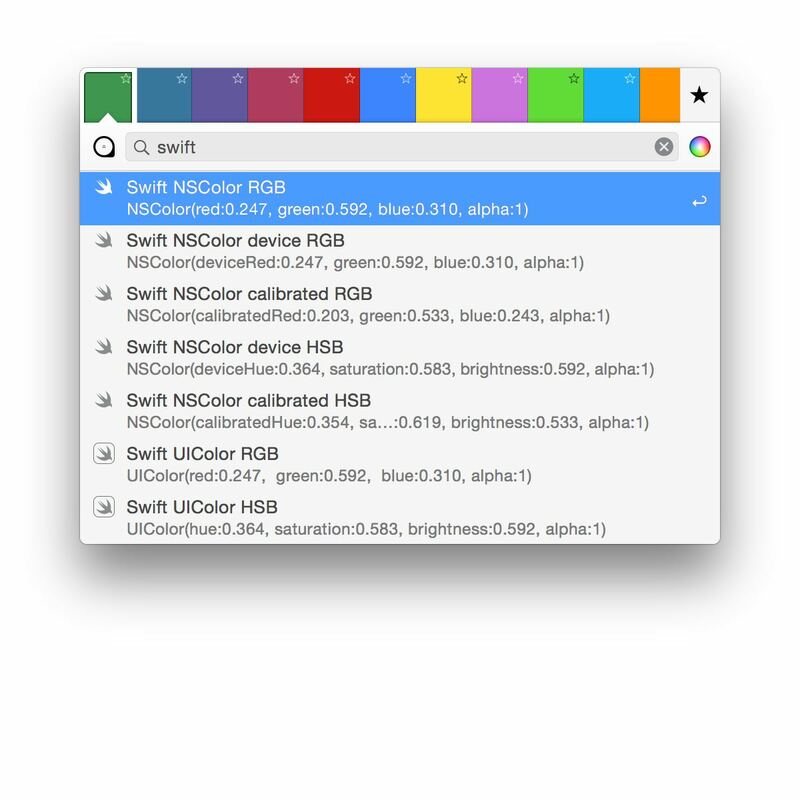 The original ColorSnapper magnifying glass – introduced in 2010 and adopted by every modern color picker app since then – just got even better! It works with multiple displays, different resolutions and with different pixel density. You can switch between Spaces and Applications having the magnifying glass on the screen. 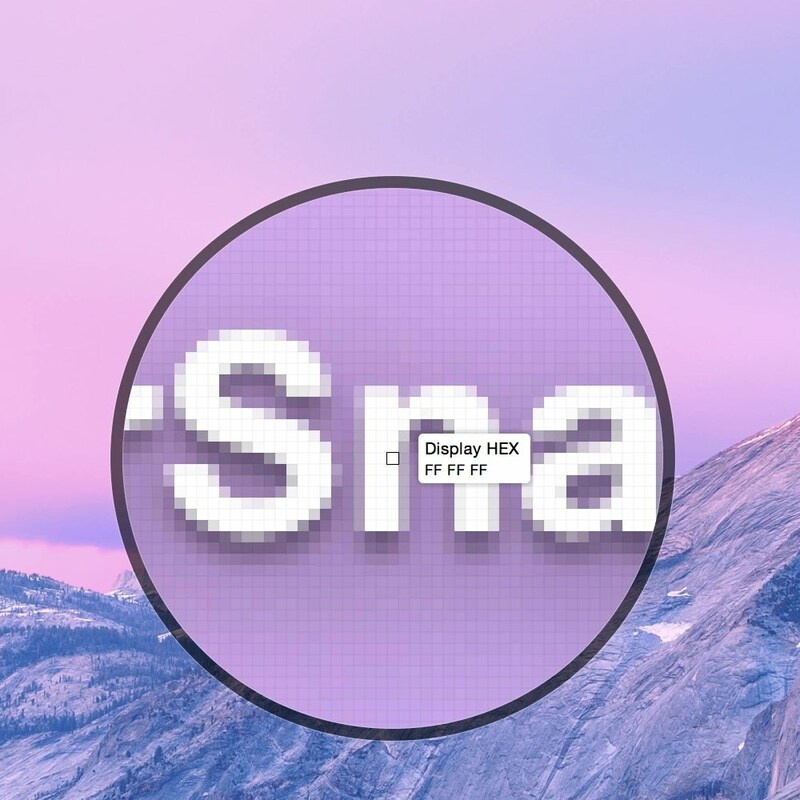 Allows to choose every physical pixel on a retina screen, but also works great on displays with normal pixel density by increasing mouse sensitivity and magnification level. 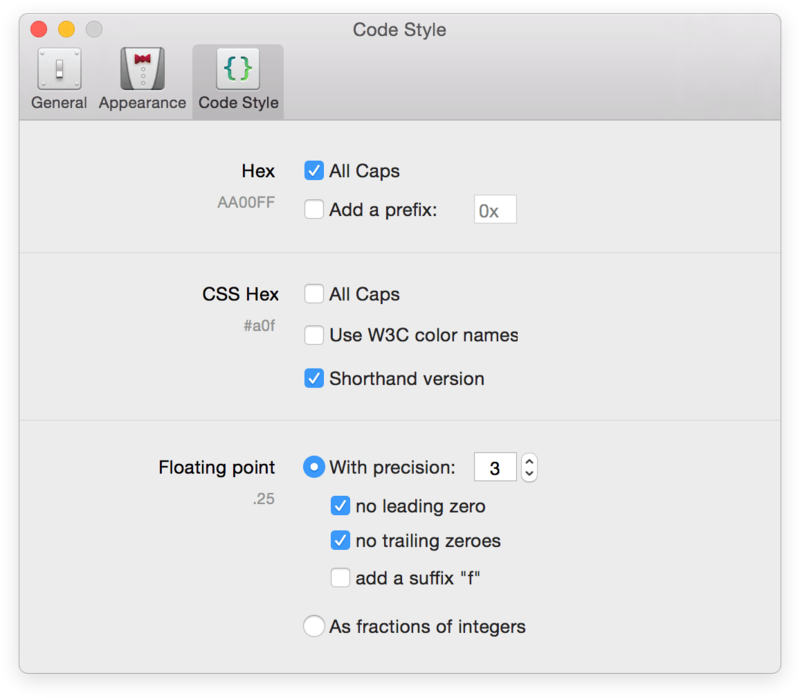 Zoom in & out, change diameter, cycle through formats or move pixel by pixel using gestures and keyboard shortcuts. 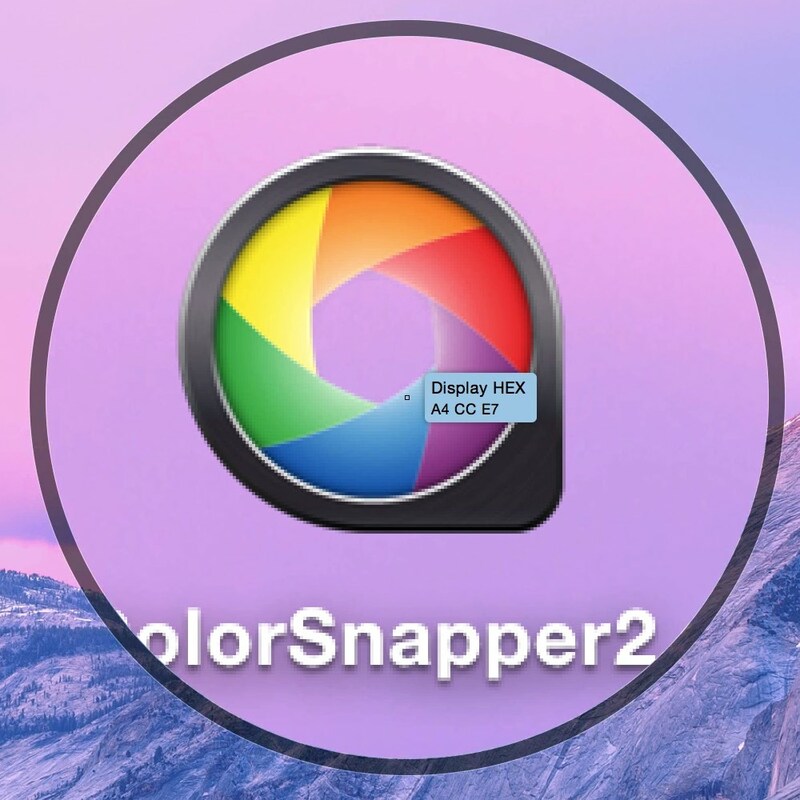 ColorSnapper 2 is designed for OS X Yosemite and supports both light and dark themes. Mark colors you regularly pick as favorites or go back in time to hundreds of colors. The new user interface seamlessly integrates with Apple’s Color Panel so you can adjust colors before you export them. 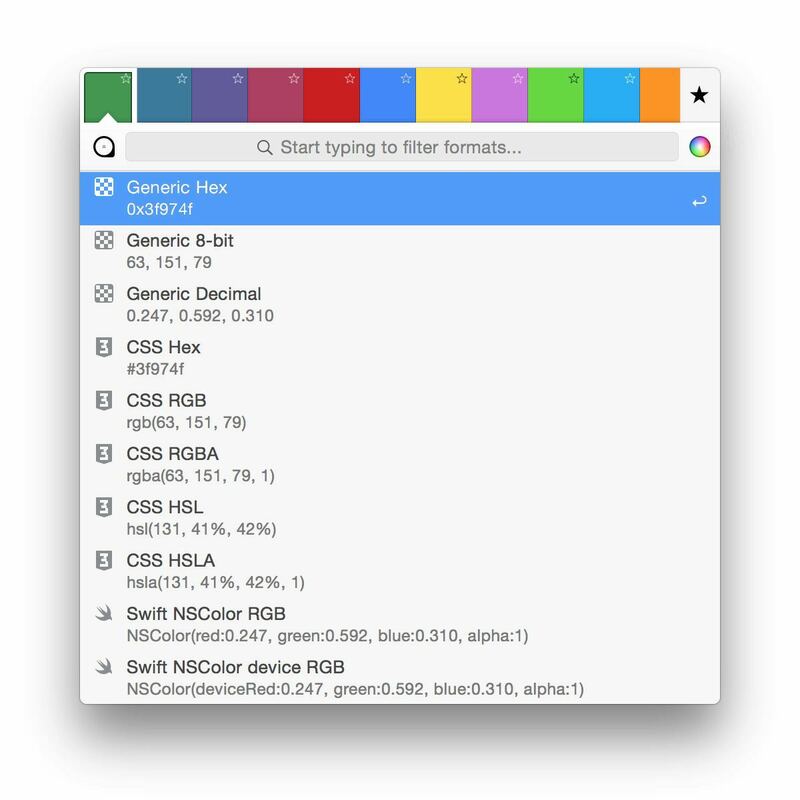 Start typing to quickly search through more than 30 export formats. 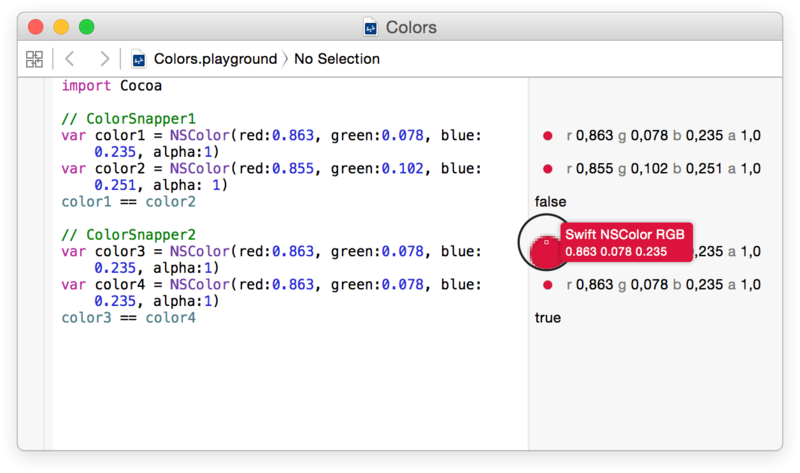 ColorSnapper 2 allows you to match the color export format to your coding style. Along with all new supported formats, including Generic, CSS, NSColor, UIColor, Swift, Android, Java, .NET, CGColor, and OpenGL this results in even faster developer workflow. 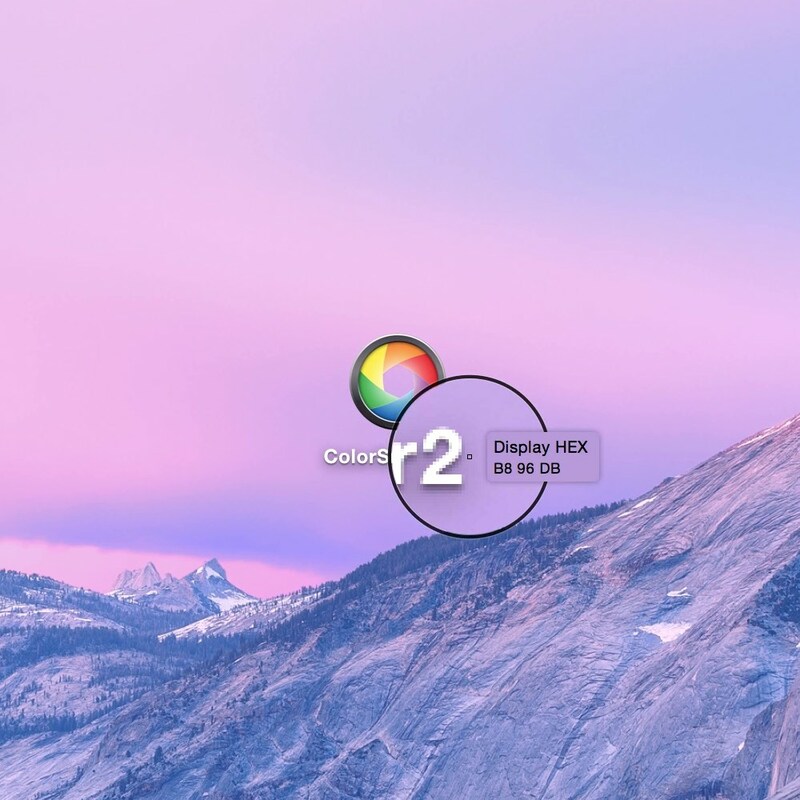 1 There may be small conversion differences when picking colors from monitors with a smaller color space than sRGB. 2 Non-native applications and applications that are not using the Cocoa framework are not affected by conversion issues. 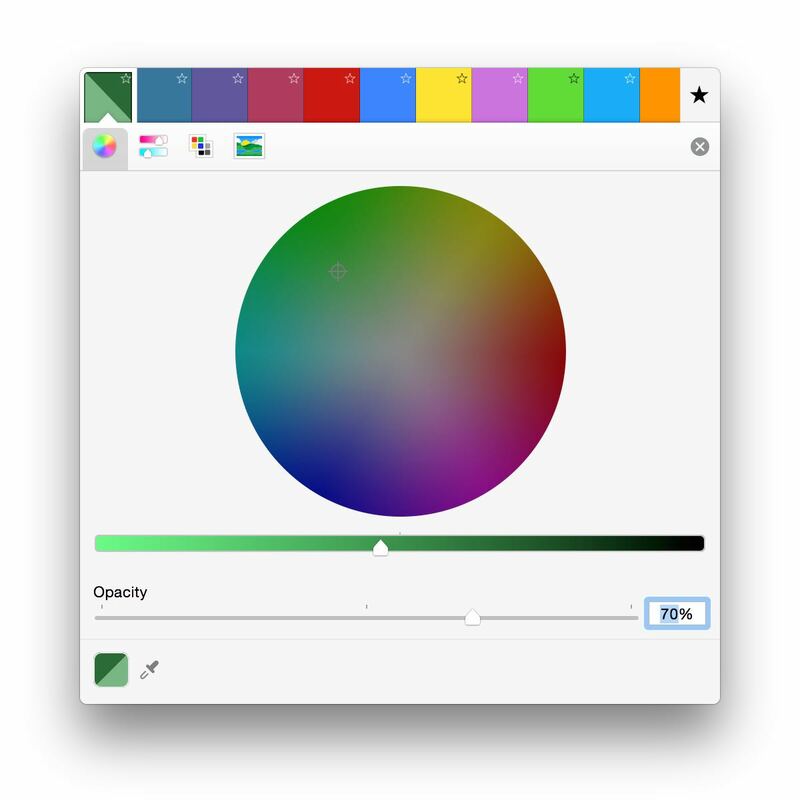 Control foreground and background colors directly from ColorSnapper in your favorite designer tools. No settings: it just works! The new magnifying glass can be used as a review tool. Press P to copy the zoomed image into clipboard. 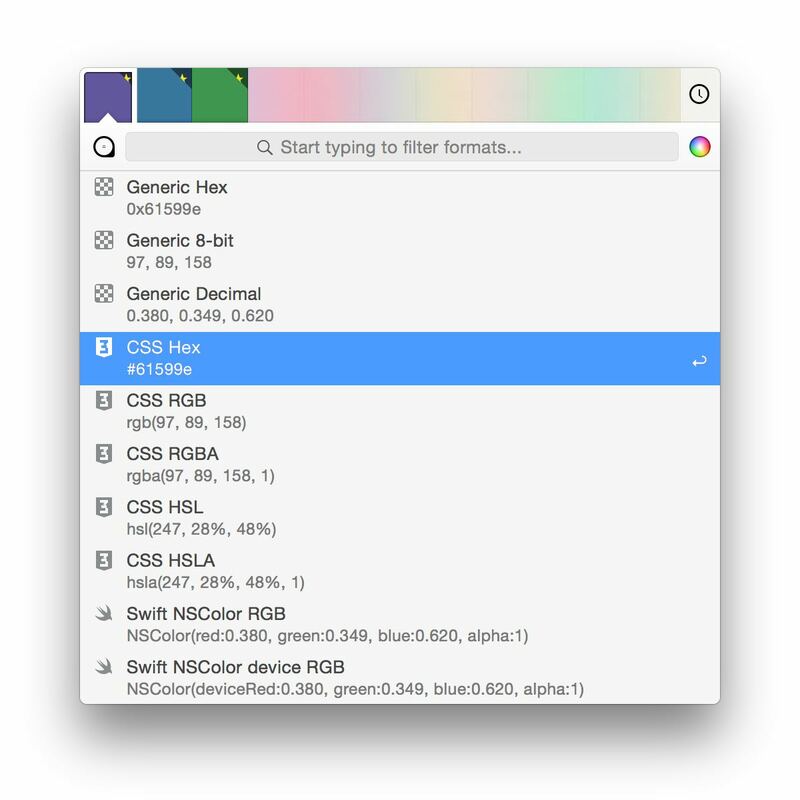 Having command-line access to the magnifying glass allows developers to write plugins for popular code editors or integrate with graphic software. Adobe Photoshop and Adobe Illustrator are registered trademarks of Adobe Corp.